ISLAND DIARY Hail the Humpback Whale! 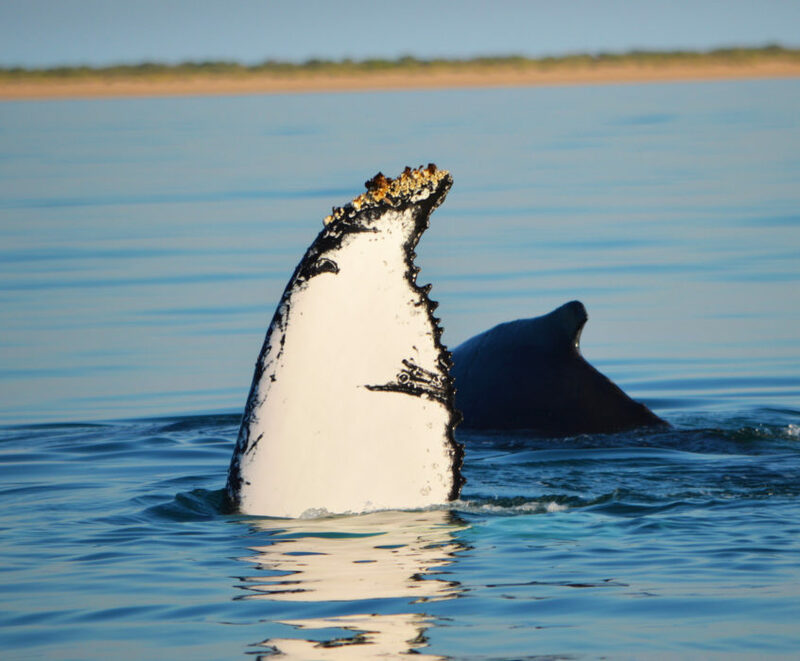 July and August are months close to our wild-natured hearts, as it’s when our mammalian giant friends, the humpback whales, come out to play as they’re headed north to their calving grounds in the Kimberley. You see, they like to be close to islands for feeding and breeding, so we’re really fortunate to be able to experience these beauties. The males are a vocal bunch, indulging in hollering out a tune or two from lungs the size of a small car. They grow to an average 15 metres long, weigh up to 45 tonnes, and can live for up to 50 years. Pregnancy for the humpback lasts for 12 months (phew! ), then birth is given to calves weighing in at around 1.5 tonnes. The little ones wean at 11 months after guzzling 240 litres of milk a day, after which time they are fit to reflect their parents’ hunting technique of ‘bubble netting’. Imagine being blinded by an underwater bubble storm with your mates and seeing these massive creatures come at you, mouths wide open! Gotta love the magic of the ecosystem. 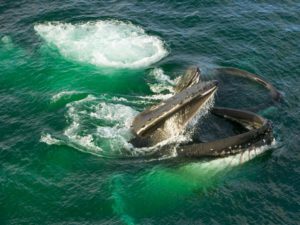 Check this out, it’s two humpbacks in the midst of bubble net feeding off the coast of Antarctica! So if you’ve never seen a humpback up close, now is the time, the season is short. Half day tours are $90 from Onslow and run July to August. For whale watching charter information, call the crew on 08 9184 6444.